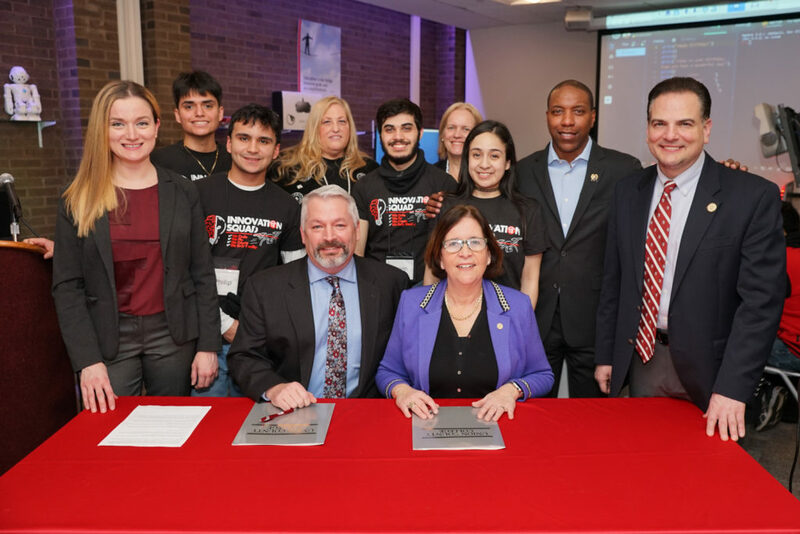 CRANFORD – Union County College and the New Jersey CannaBusiness Association (NJCBA) signed a Memorandum of Understanding (MOU) to create a partnership that will support the College’s Medicinal Plant Chemistry Program. 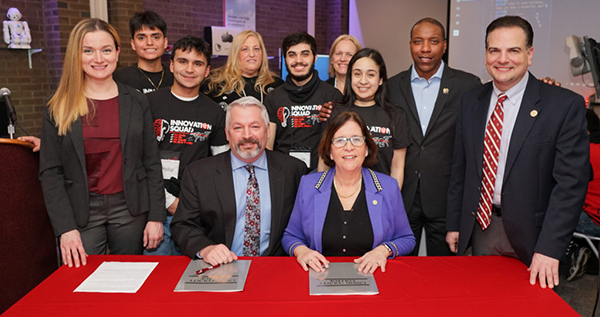 Union County College President Dr. Margaret M. McMenamin and NJCBA President Scott Rudder signed the MOU on Feb. 13, 2019, in the Innovation Center at the College’s Cranford campus. Also present at the signing ceremony were Senator Nicholas Scutari and Assemblyman Jamel Holley. With the signing of this agreement, the College and NJCBA will establish joint education programs, training, and research opportunities, along with guest lecturers and internships in the medicinal plant chemistry field. The programs will commence during the Spring 2019 semester. “The cannabis debate has centered around the critical issues of social justice and undermining the black market. One area, however, where we need to be especially focused is workforce development. The industry is going to expand quickly and we have to make sure we are training people to successfully be engaged in it. This agreement goes a long way toward accomplishing that goal in Union County,” said Senator Scutari. Union is the third college in New Jersey to establish an agreement with NJCBA to develop and support a medicinal plant chemistry program. 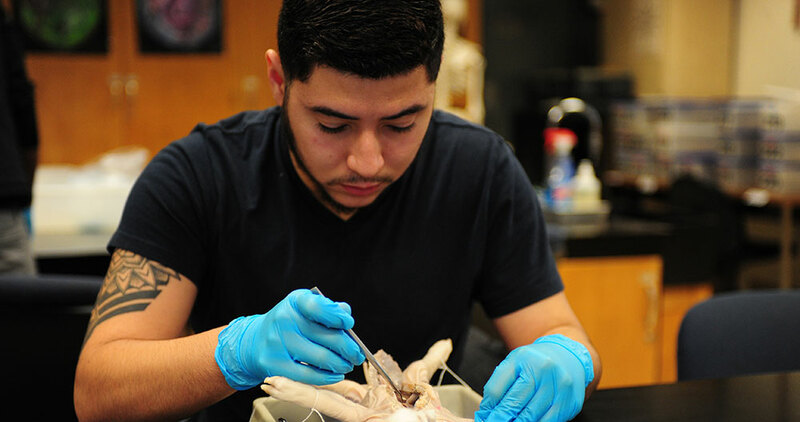 The first was with Stockton University and the second with Atlantic Cape Community College. Seated are Mr. Rudder & Dr. McMenamin. Standing are Sen. Scutari (rt.) and Assemblyman Holley (2nd from rt. ), joined by Union students & ED of Con Ed & Workforce Dev. Dr. Lisa Hiscano, & NJCBA reps.